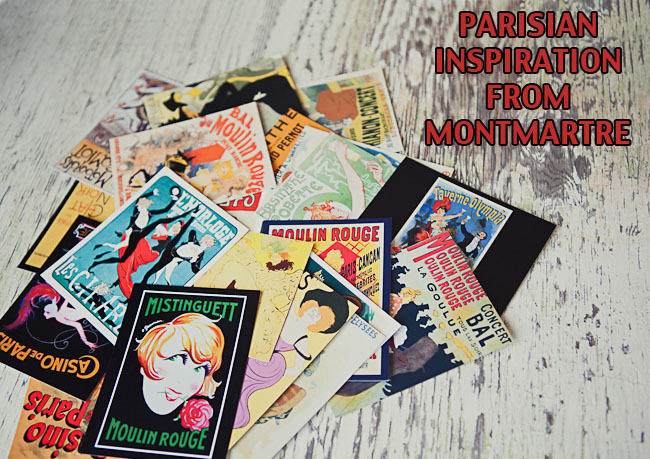 The guest “book” concept derived from the art influences scattered throughout Montmartre and came to fruition with the help of Teressa from Cashmere Floral Design. 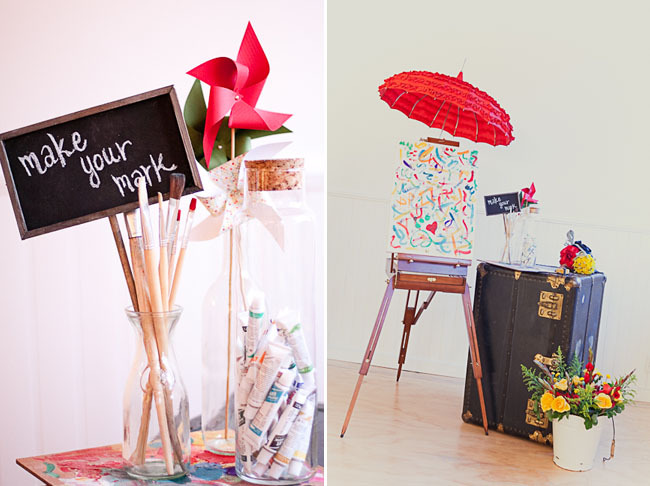 A vintage umbrella was attached to an easel and a canvas was placed on the easel to allow for each guest to “make their mark”. 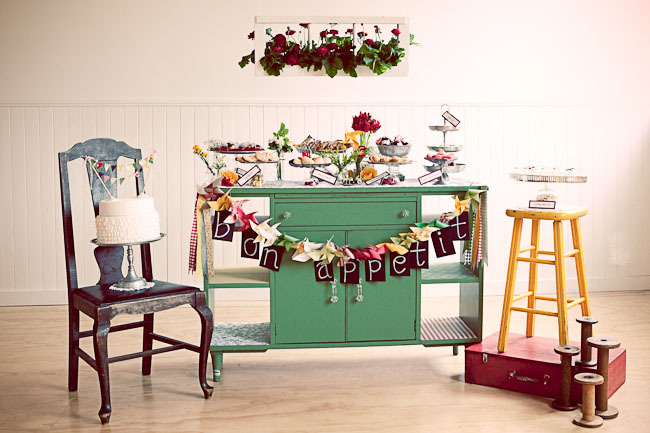 “A distressed vintage picnic table was covered with pops of vibrant color, including jars of Bonne Maman jelly which were tied off with burlap and chalkboard tags as favors. 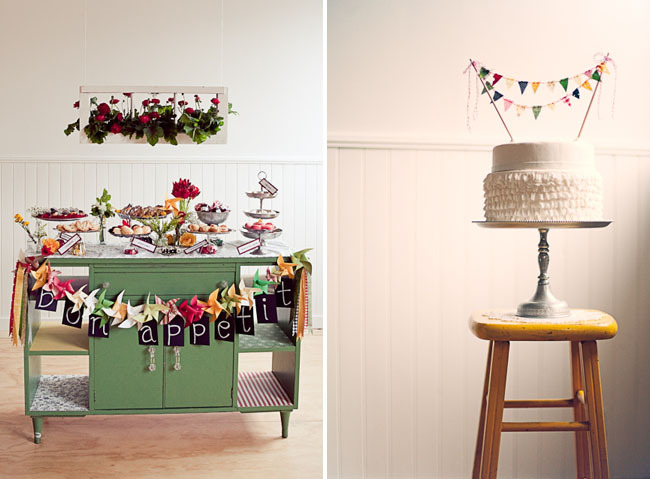 Chalkboard detailing was included in many aspects of the shoot, including the dessert table banner, various signage and the paper goods, since this form of marketing is used all over Paris in the floral and food markets. 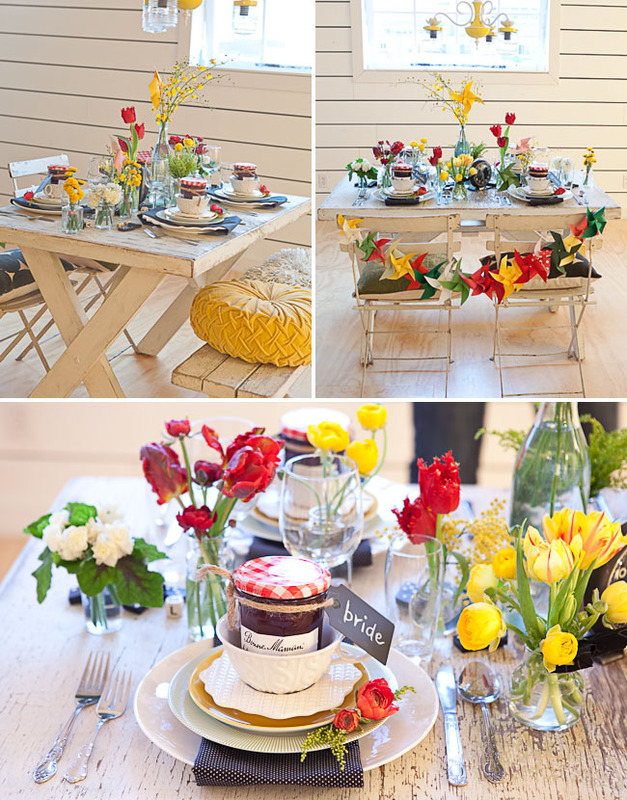 French bistro chairs, textured pillows, a vintage clock, dominos, empty wine bottles and tiny glass vases filled with vibrant flowers completed the table design. Thanks so much to these vendors for sharing their talents with us today! 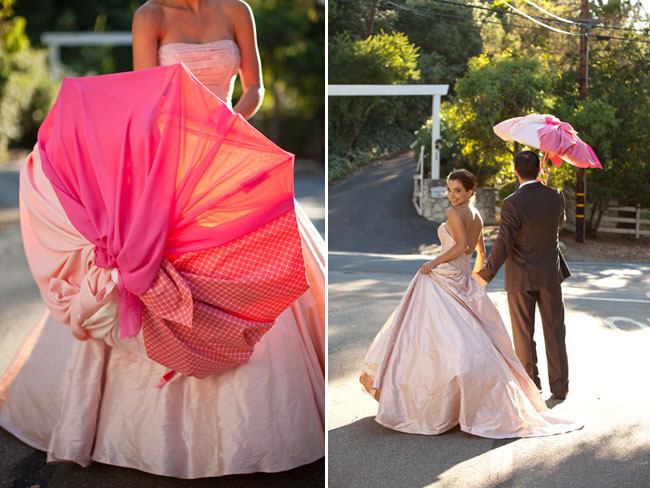 I love how unique this shoot is…the colors are so fun!!! What creative details. It’s so cool how the pinwheels represent the windmills in Montmartre. 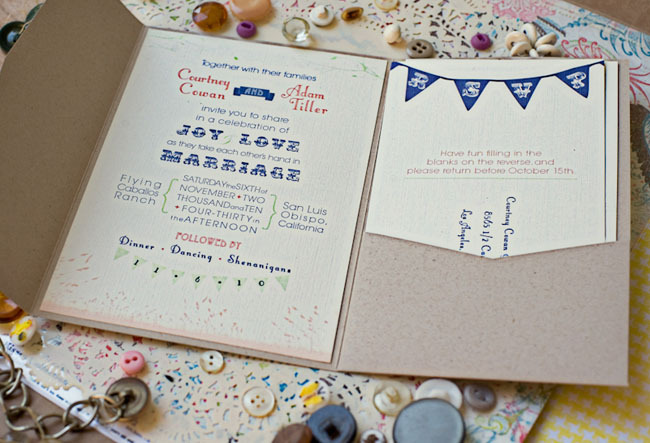 You had me at Montmartre and kept me with pinwheels and cake bunting! LOVE. This is stunning!! 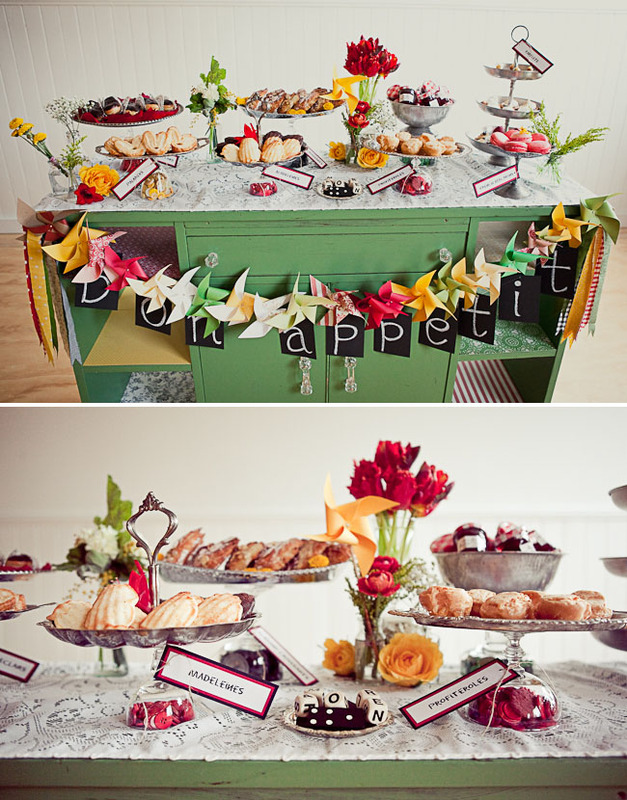 Love all the great details and color!! what a refreshing source of inspiration! Love it! Such a great source of inspiration! Creative, fun and unique. 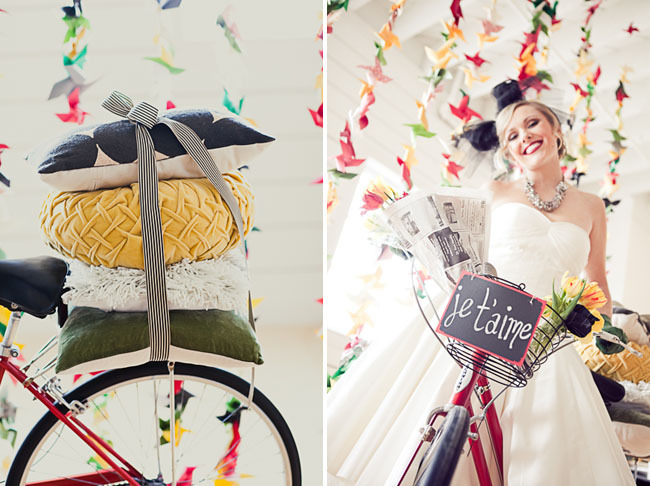 The intense colors are stunning paired with the off-kilter-fun elements, like pinwheels & bicycles. 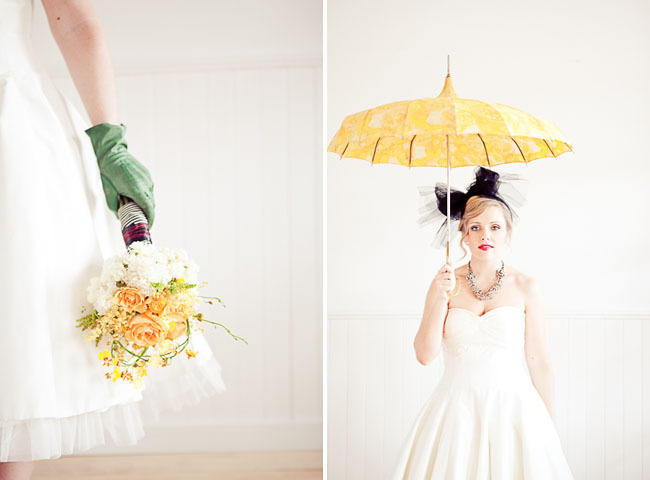 I adore the big tulle bow on the brides head & the bouquets are absolutely SMASHING! Thank you so much for the feature today Jen! You made my week! love all the details! especially love all those buttons!! Beautiful. 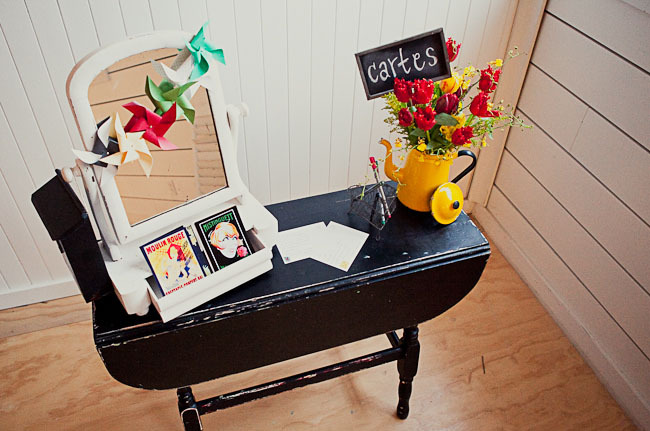 It is eclectic and classic, vibrant and simple, sophisticated and accessible all at the same time. Love the pinwheel shots to death!!! Oh my! 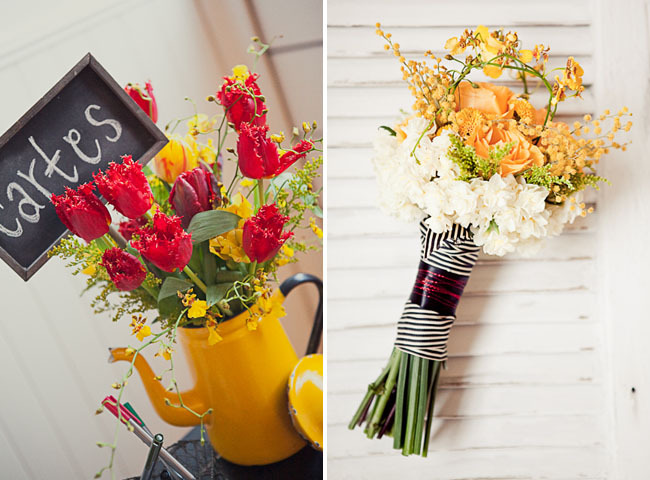 Very fresh, fun, & chic! I love the button photo! This shoot inspires me. Yesss! I love this. Incredible job ladies! So pretty and so perfect. Brilliant! 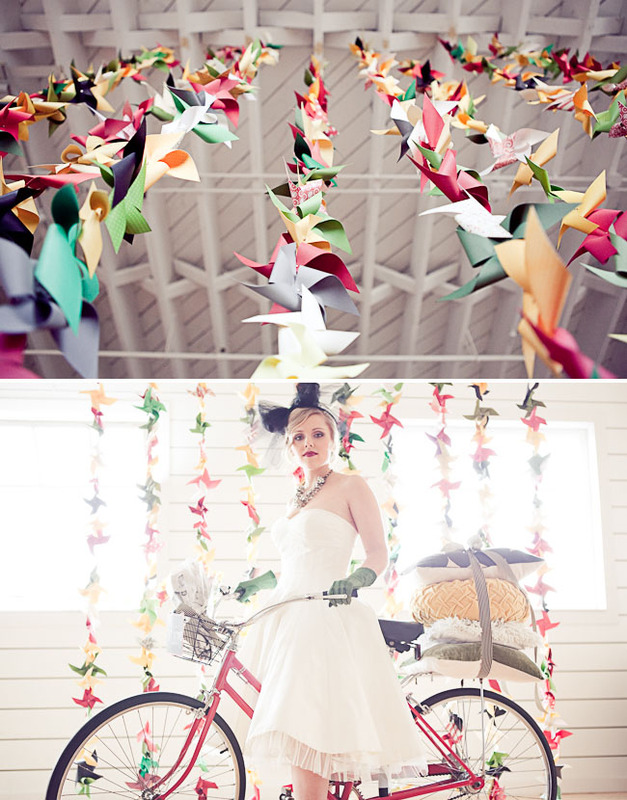 the colours are so wonderful and the hanging pinwheels are genius. 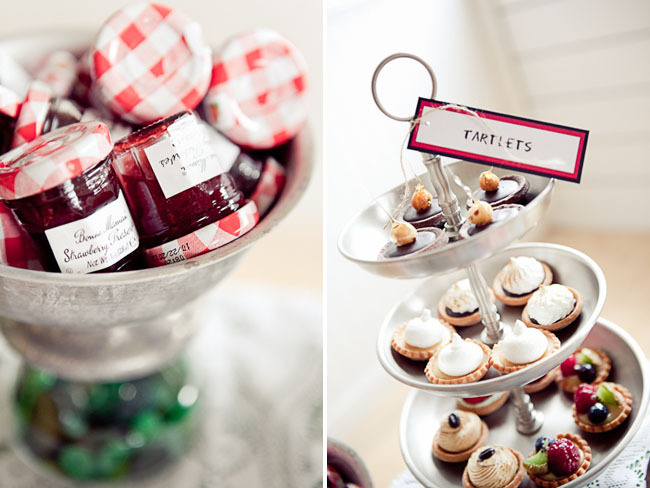 I’m definitely going to have to steal some of these ideas for my own wedding. Just got engaged in Paris! Love the french influence! 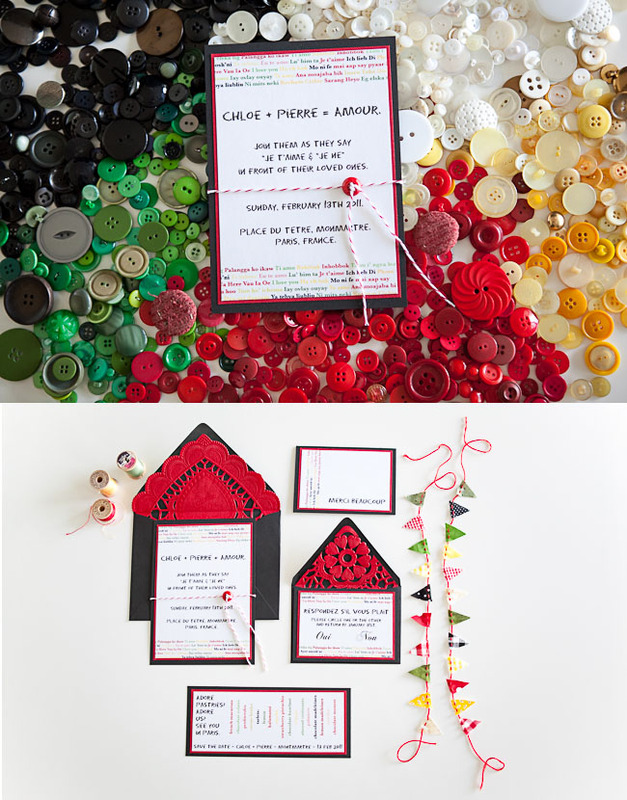 It is so creative and colorful! This was my favorite shoot ever! Loved the pinwheels and colours! Congratulations.